Save on my MISA Workshop! 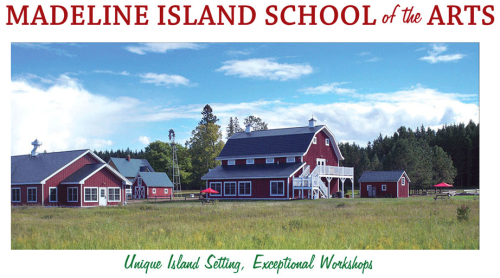 I’m so excited to be teaching a 5 day quilting workshop at Madeline Island School of the Arts, June 16-20, 2014. I’ve heard nothing but the best about this magical Island, MISA’s state of the art studios, lodging, and delicious meals. So, I wanted to let you know of a special program just for anyone who follows my blog, called “The Red Barn Special.” This is specifically for my workshop at MISA. Save $85 on your on-site lodging reservation when you register for my workshop by April 30, 2013. Now is your chance to get first pick at their comfortable and cozy on-campus rooms in their Mission Cottages. A 25% deposit is all you need to hold your place in my workshop. To read more about my class and to register, click here, or call the Registrar, Anne Leafblad, at 715.747.2054, or email misa@cheqnet.net.